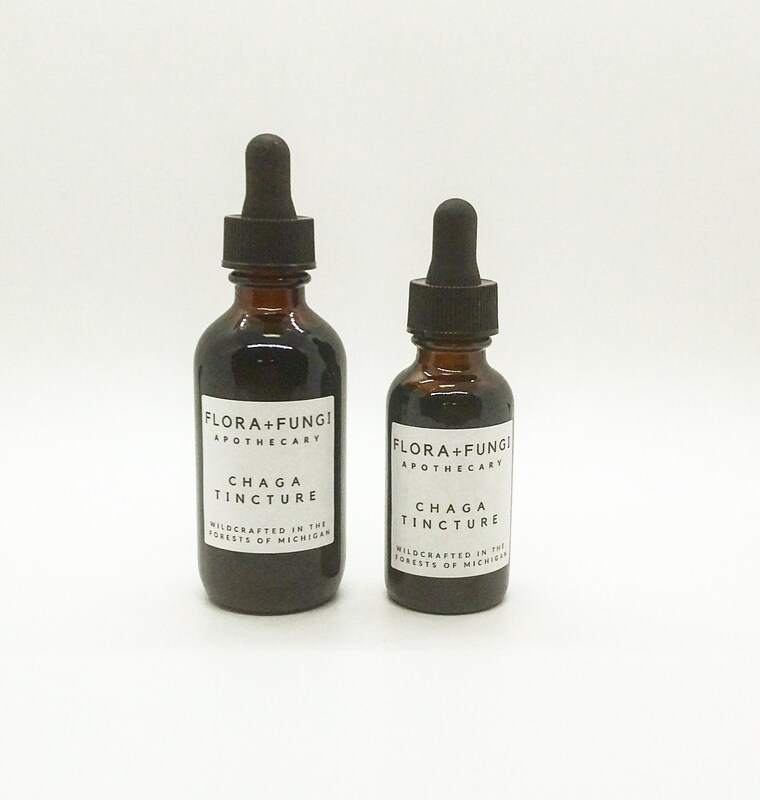 Our Wildcrafted Chaga Tincture is made with Chaga fungus (Inonotus obliquus) ethically harvested from the forests of Northeast Michigan. 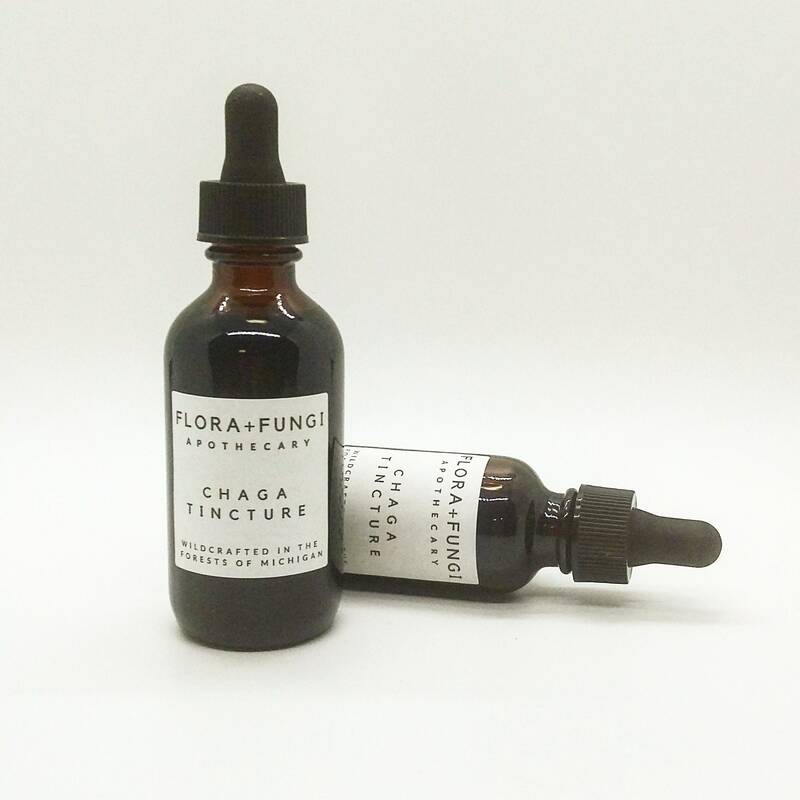 Chaga is a parasitic fungus found growing on Birch trees around the world. Chaga contains a wide array of essential vitamins,minerals, and antioxidants, including B-complex vitamins, vitamin D, copper, zinc, iron, selenium, amino acids, rubidium, cesium, potassium, calcium, magnesium and manganese. Many laboratory studies have demonstrated chaga’s ability to reduce inflammation, lower blood pressure and cholesterol, support the body’s immune system as well as prevent or slow the growth of cancer cells. 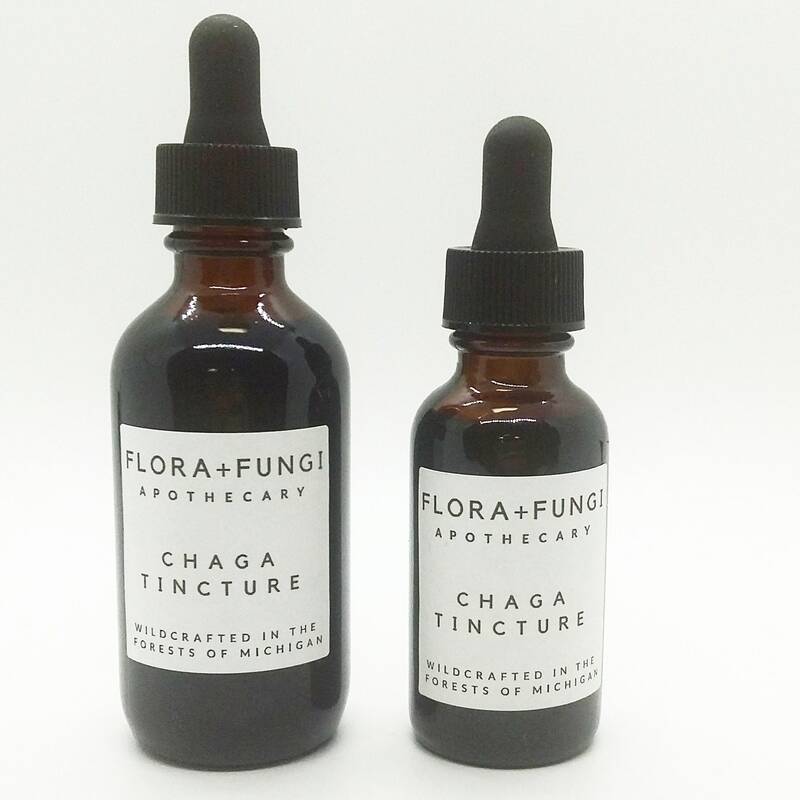 Chaga is also gaining popularity as an adaptogen due to its myriad of health benefits. 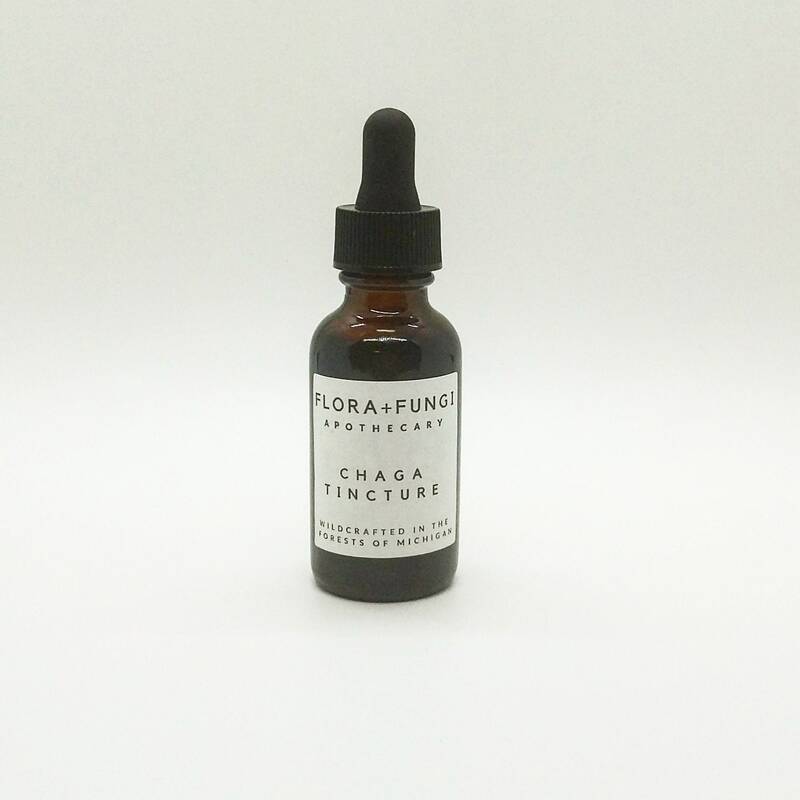 Chaga has been used for centuries in Eastern Europe and Russia, and for thousands of years by indigenous tribes of Siberia. 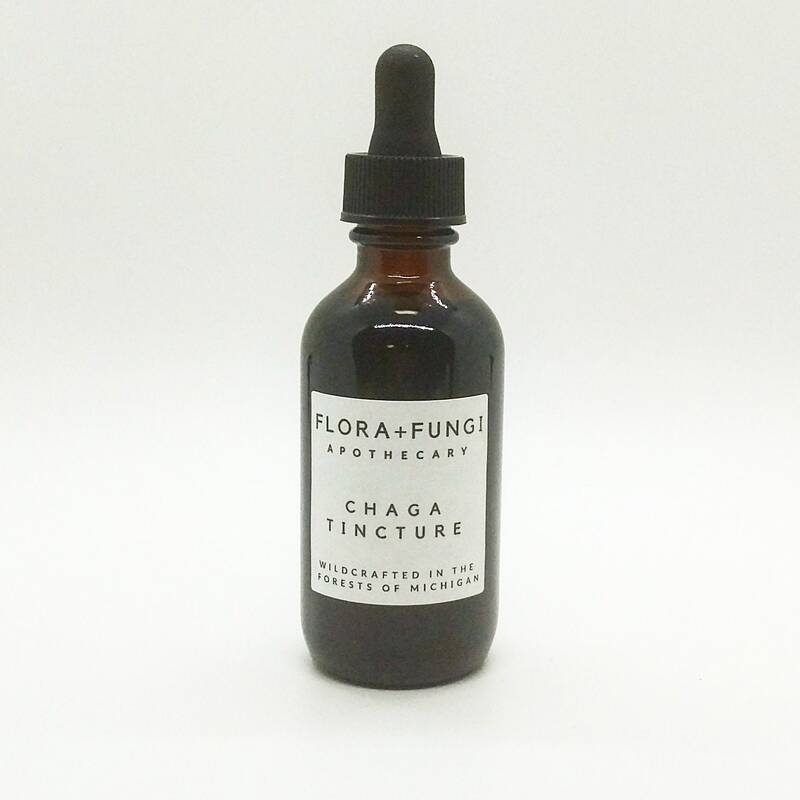 After years of being an obscure folk medicine, modern studies have validated the virtues of this unique fungus.